After successfully hosting our pua training weekends across the UK for several years now, due to popular demand we made the decision to branch out into the international scene by launching our pua training Dubai Division in the summer of 2014. Our training weekends have been specifically designed to instill a confidence, a structure, and a blueprint in how to approach and interact with any women at any time during our day to day activities. We begin our coaching on a Thursday night and run through to the early hours of a Saturday morning, comprising of three separate coaching sessions, with a maximum of three clients attending per weekend. 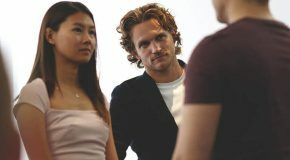 After being met by our head trainer upon arrival, we’ll then begin our weekend with an hour’s tutorial in how to overcome any approach anxiety that has been holding us back from approaching women that we find ourselves drawn to. We’ll then watch our head trainer perform live demonstrations in rejection proof ways of approaching and interacting with any woman at any time, before then embarking on a journey from bar to bar with the prospect of approaching our own women in our own style. For the final hour of our first segment we’ll then head to a bustling bar to engage in longer and more intimate interactions, with our head trainer on hand to offer any guidance, support, and questions along the way. Following on from our opening session, this segment begins with an hour’s tutorial in the differences between approaching women during the day and approaching them in an evening environment. We’ll then have the prospect of watching live demonstrations from our head trainer in how to stop and interact with any woman at any time, before then having the opportunity over the next few hours of approaching the women that we find ourselves drawn to. Our head coach will also be on hand to offer any final body language and tonality improvements. For the final hour of this segment we’ll then head to a quiet coffee shop to discuss how we can take this blueprint and structure and turn it into our daily reality. So whether we are walking to the gym, having a coffee with friends or shopping solo, this segment is about opening our eyes to the many opportunities to approach and interact with women that we never imagined possible. Following on from an eye opening daytime session, this segment begins with an hour’s tutorial in the power of mystery, the use of push/pull techniques and seductive frame control. The aim of this last session is to compound all of our weekend’s learnings into our normal daily activities. Then with our new found confidence, blueprint and poise, we’ll embark on a journey from bar to bar approaching and interacting with women that we never imagined possible, with our head trainer on hand to answer any final questions and to offer any final support. For the climax of our weekend we’ll then enter a bustling club for longer and more intimate interactions with the women that we wish to approach. We’ll also have access to our latest mobile app which has been specifically designed to heighten interactions with women in busy environments, all in all a great finale to our emphatic weekend. Hey Buddy!, I found this information for you: "Pua Training Dubai". Here is the website link: https://www.socialattraction.co.uk/pua-training-dubai/. Thank you.